There are lots of things to do in Bangkok with kids. The city has a variety of family-friendly attractions, playgrounds, and activities to suit kids of all ages. Kids are welcome in most places. Thai’s like children and are particularly fascinated by western children. The modern shopping malls and some attractions offer complimentary pushchairs and have modern toilets with baby changing facilities. Out on the streets, if you have younger children, slings are better than pushchairs as the pavements are often blocked or damaged. It also makes it easier to get on public transport. Breastfeeding in public is frowned upon so try to do it in private. Foodwise, there are many western restaurant chains in the malls, if you don’t want your kids to eat spicy food. Most chain restaurants have high chairs for young children. The supermarkets are well stocked with diapers, milk formula, and baby food. Department stores usually have a whole floor donated to kids clothes and accessories. 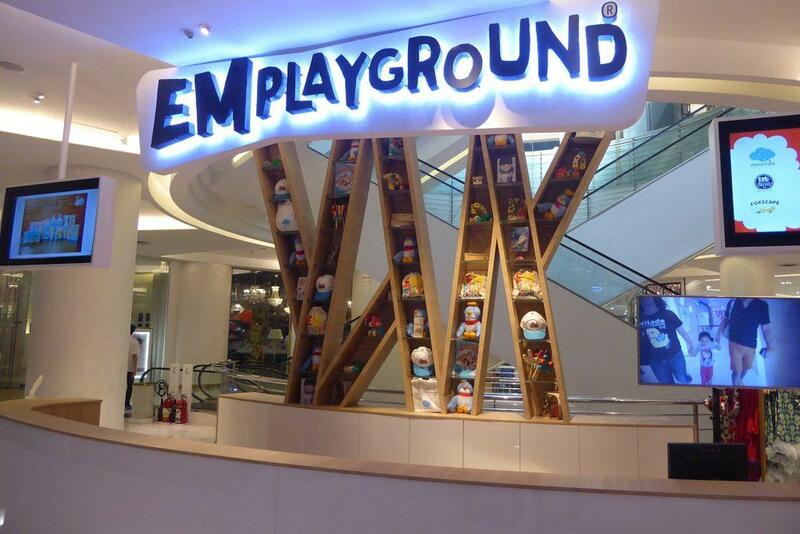 There are branches of Mothercare and Toys”R”us at Central World and Iconsiam. Parents should apply a mild mosquito repellent to children’s exposed skin after dark though bites are irritating and not dangerous. One of the cities best attractions is Sealife, an aquarium in Siam Paragon Mall. It features over 8,000 sea creatures including sharks and penguins. 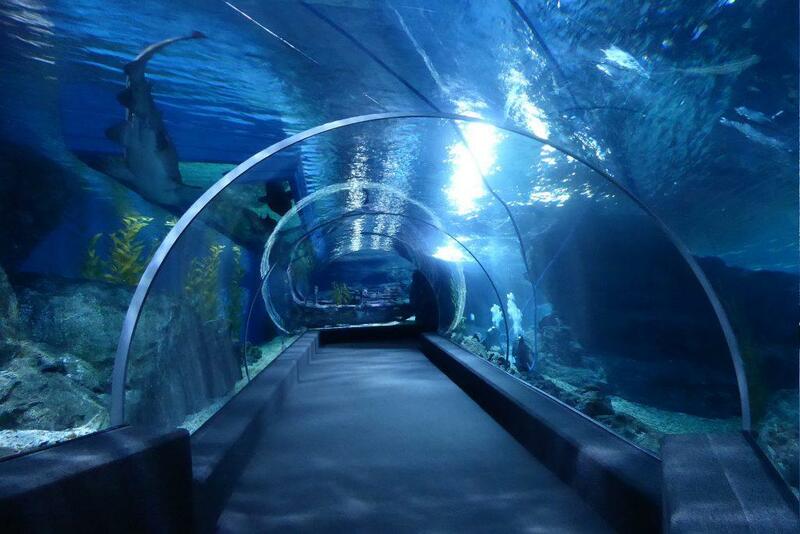 The best part is the glass tunnel where you can view sharks close up. If you’re brave enough you can even dive with sharks. There are several shows including penguin and sea-lion feeding. Art in Paradise is an interactive 3D art museum where you can literally “put yourself in the picture”. Great fun for kids and adults and you can take some memorable “crazy” photos to remind you of your trip to Bangkok. 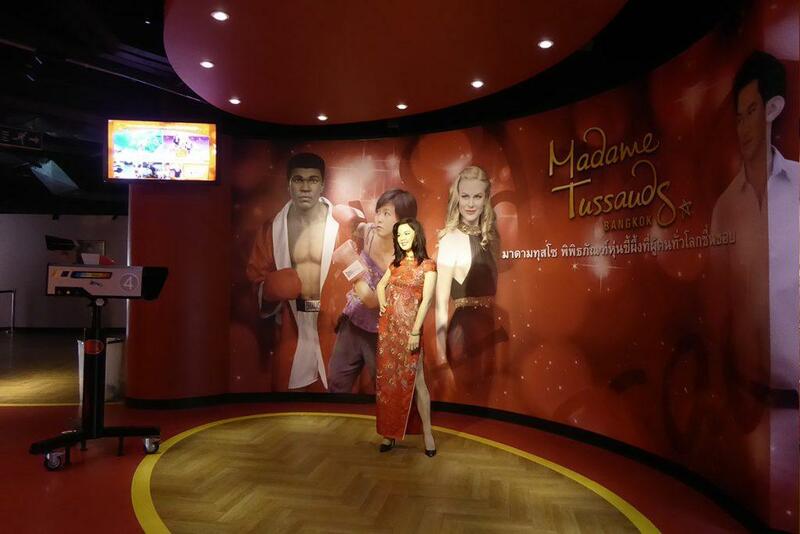 Madame Tussaud’s features its famous waxwork collection of well-known characters as well as some cool interactive shows. Great for selfies with your idols. 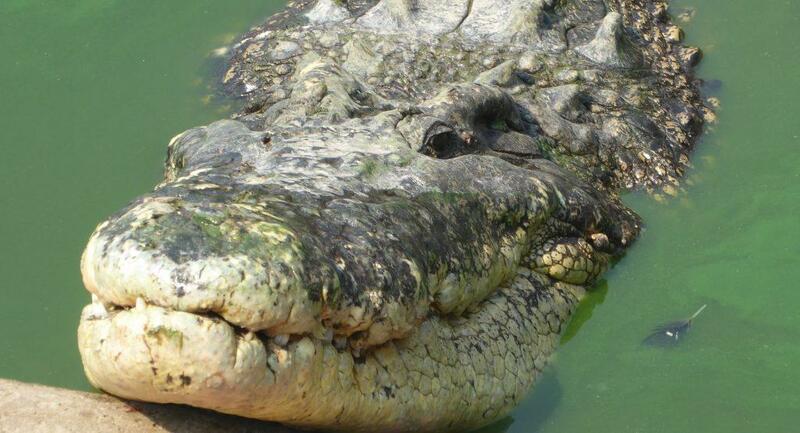 The city’s Zoo has now closed, though it’s planned to reopen next year in a new location. Safari World is a wildlife park on the outskirts of the city. 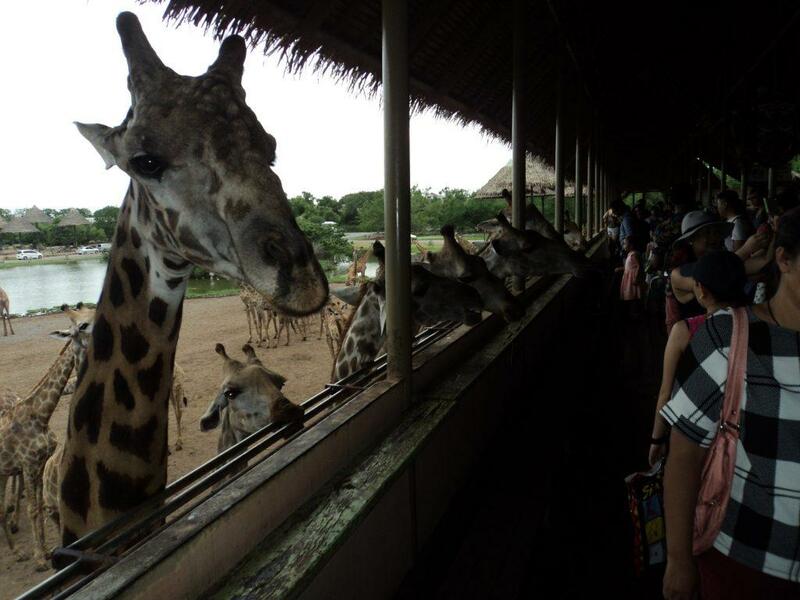 There is a good collection of animals, mammals, reptiles & birds including lions, tigers, elephants, zebra & giraffes. There are lots of shows including a dolphin show, elephant show, orangutan boxing, a bird show, and a cowboy stunt show. If you want to visit, it’s best to take an organized tour which includes transport, tickets, and lunch. 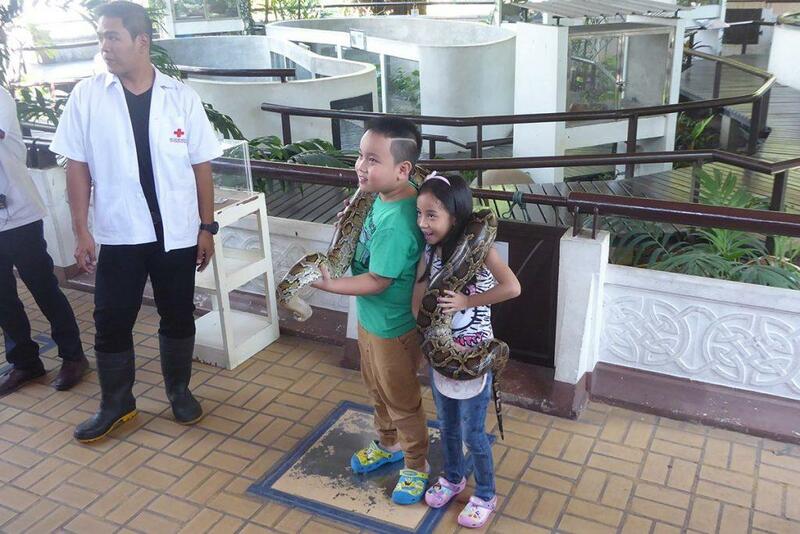 If your children like exotic animals, the Snake Farm & Crocodile Farm may interest them. Stanley Miniventure is an indoor scale model park. It features cities, landscapes and the most famous monuments from around the world. Most impressive are the model trains running through tunnels and mountains. After touring the models there is an activity room where kids can paint models. Elephant Parade is an elephant conservation charity. 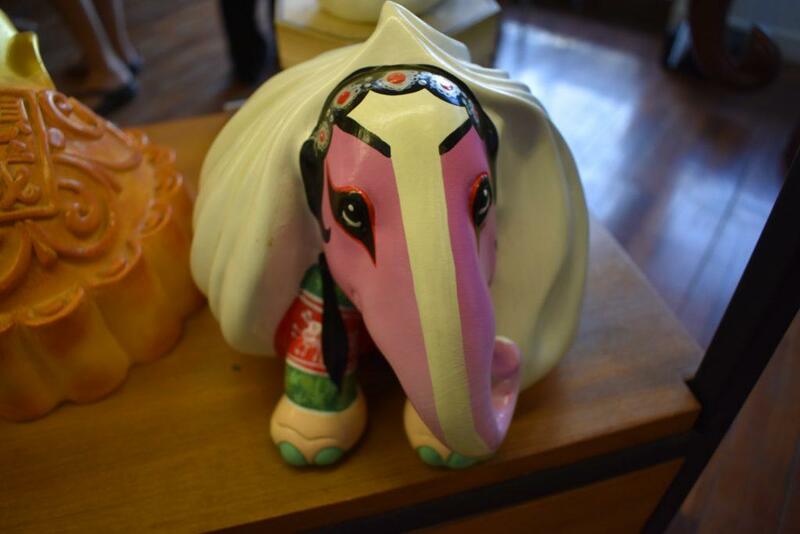 They have painting workshops that allow you to design and paint your own elephant. Great fun for families. Find out more by clicking on the pictures below. 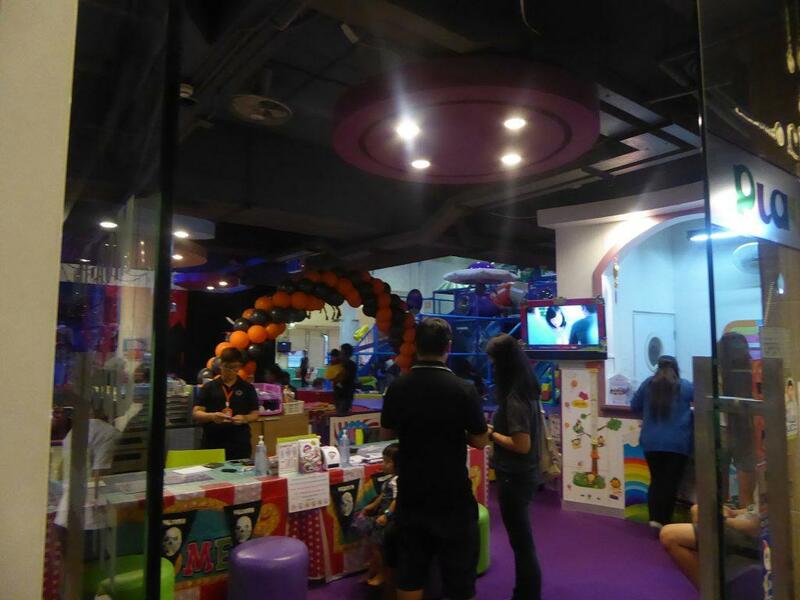 The best kids playgrounds in Bangkok are KidZania, Bounce, Funarium, and Imaginia. KidZania is an educational play center where kids can learn about and role-play a range of professions. The focus is on developing essential life skills such as decision-making, money management, and teamwork. 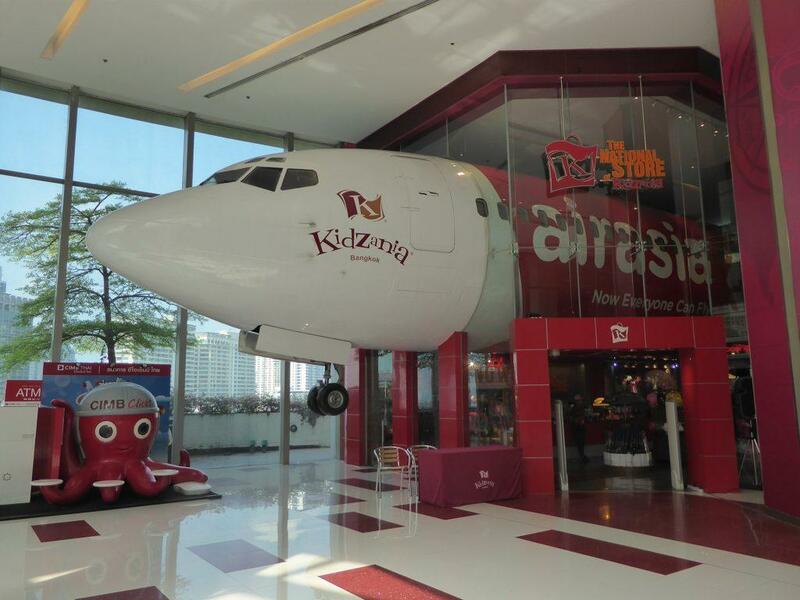 KidZania is for children from 4 to 14 years. Parents can join some of the activities. 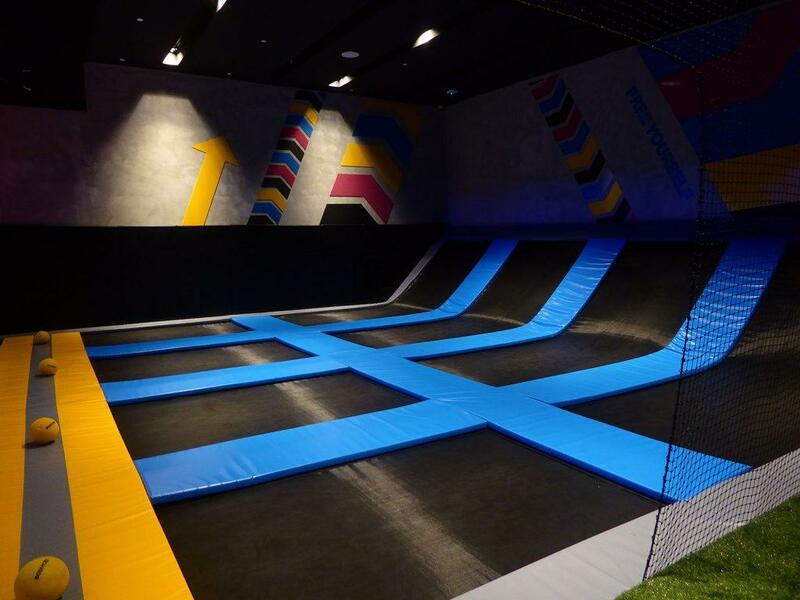 Bounce is a trampoline park suitable for kids from six years old as well as adults. There are different zones for each age group. There are also zip lines, a climbing wall, and a freestyle jumping area. Good for burning up kids energy! 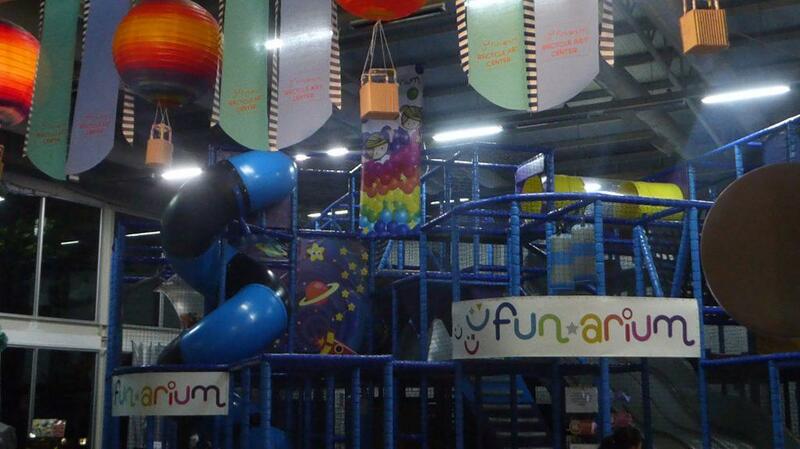 Funarium is the largest indoor playground in central Bangkok catering for kids from 1 to 13 years old. Kids can burn off energy running, jumping, climbing, crawling and sliding. There are also art and craft activities such as painting & papercraft. A cooking corner where kids can learn to cook Thai food and a sports area with bicycle track & rollerblading. 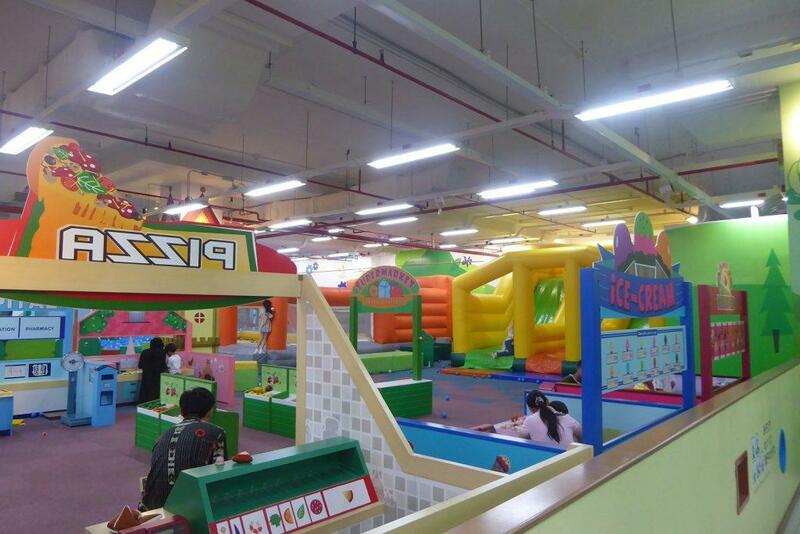 Imaginia Playland is an indoor play center featuring interactive activities where children have to think and use their imagination. The activities are most suitable for younger children from 3 to 10 years old. Activities include drawing, painting, storytelling, climbing and even mixing music! Find out more by clicking on the pictures below. 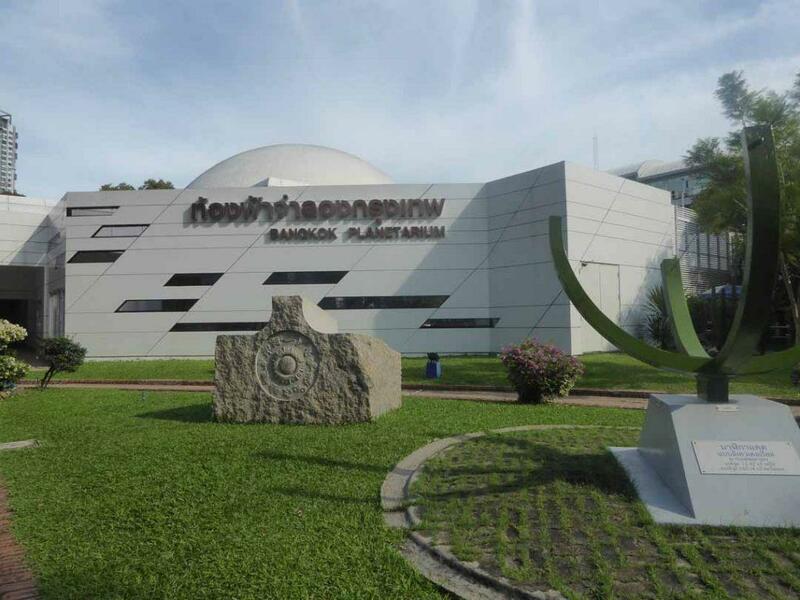 There are two theme parks on the outskirts of Bangkok. 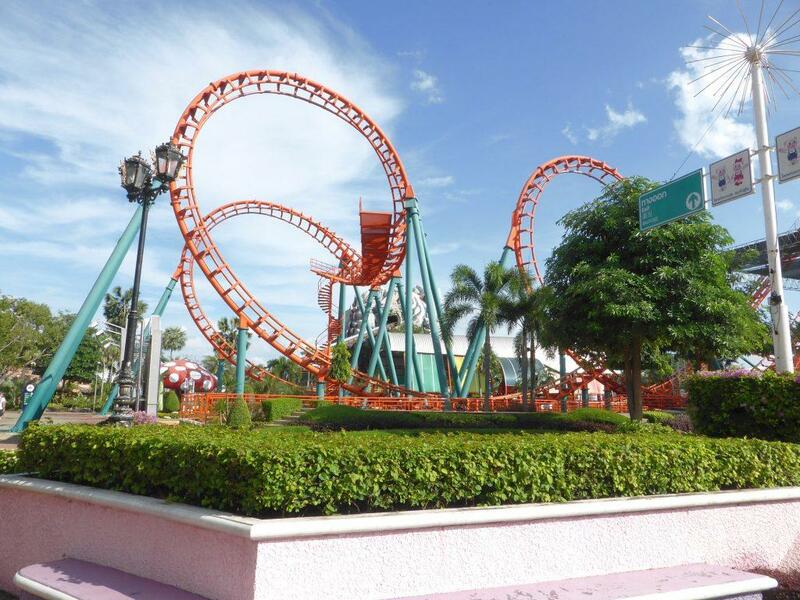 Dream World is Thailand’s best theme park with some great rides and activities for kids of all ages. There is also a water park, an indoor snow slope for tobogganing, action shows, a cable car, and monorail. Siam Park City is an amusement park on the outskirts of Bangkok. 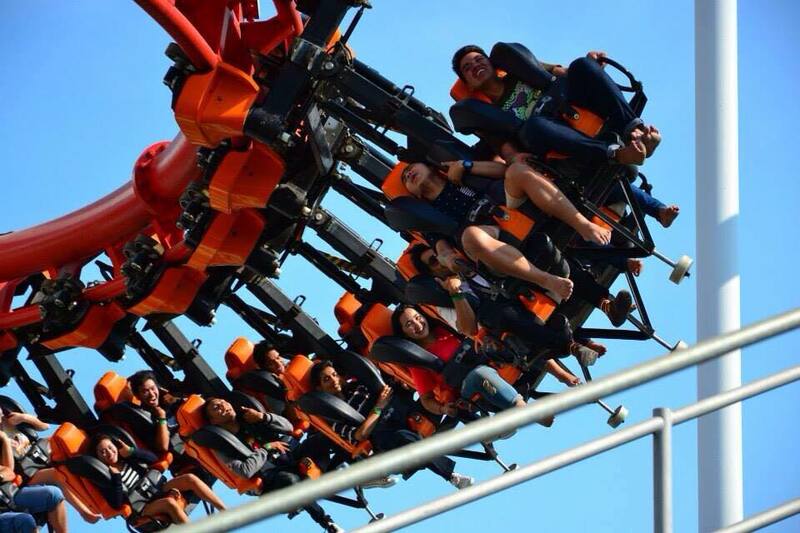 There are rides, rollercoasters and lots of activity zones for kids of all ages. The main attraction is the water park featuring water rides, a massive slide, areas for swimming & sunbathing and the world’s largest wave pool. Sporting activities are a hit with older children. 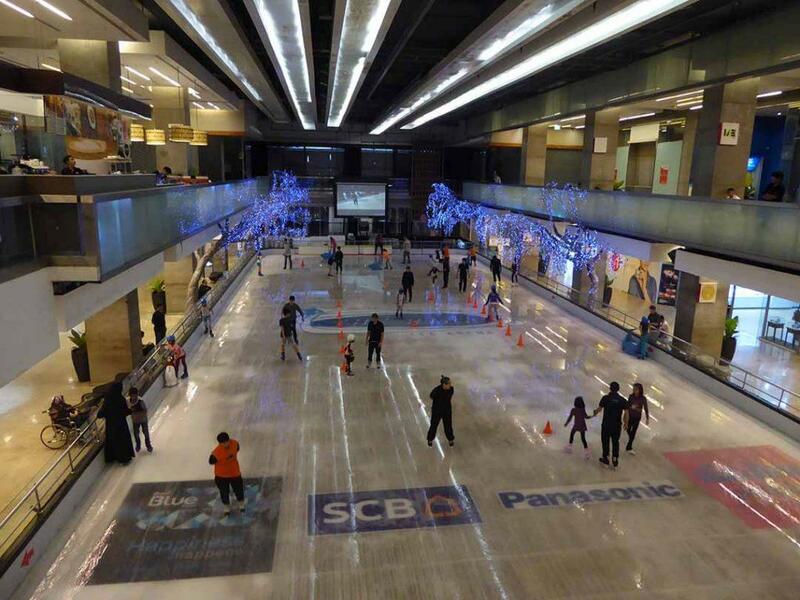 The city has an Olympic size rink for Ice Skating as well as a mini rink for younger kids. 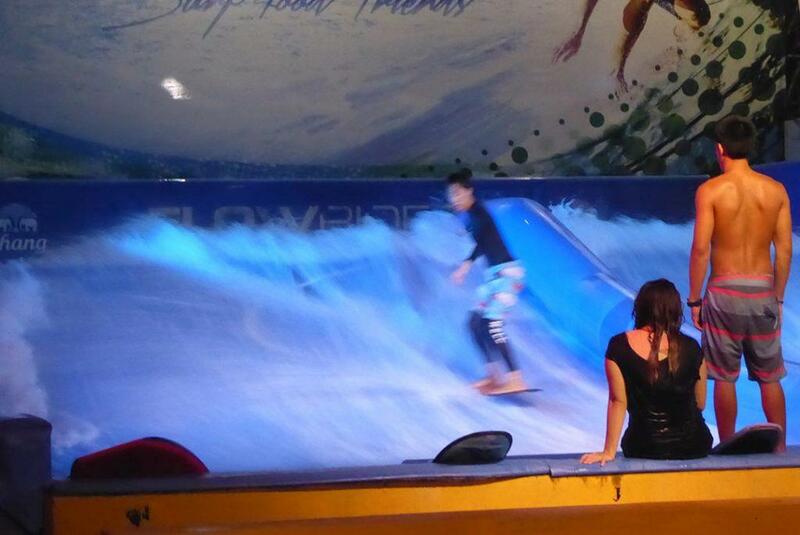 Surfing is not something you would associate with Bangkok but Flow House has a simulated wave surfing machine where you can practice or take lessons in stand up surfing or bodyboarding. Easy Cart is an indoor Go-Kart arena, one of the largest in Asia. You can choose to practice, race or stage an F1 style race where you complete qualifying and have a grid start. 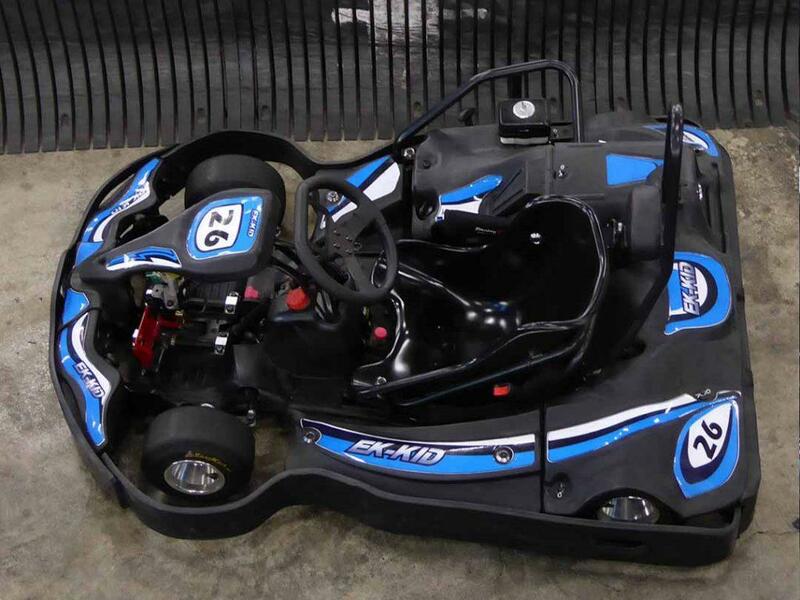 There are three kart sizes from 120cc to 200cc. Children from 7 years and up can take part. Climbing is a popular activity and Urban Playground has the best climbing walls in Bangkok. There are 7000 square feet of walls from beginners to experienced climbers. Instruction is available for beginners. Find out more by clicking on the pictures below. There are several child-friendly cafes in Bangkok which are great fun for both children and parents to visit. Hello Kitty House is an official Sanrio café in Bangkok’s Siam Square. It features all things kitty from the pink kitty chairs to the Kitty songs on the sound system. There is also a Kitty souvenir shop and nail salon for kitty fingernails. 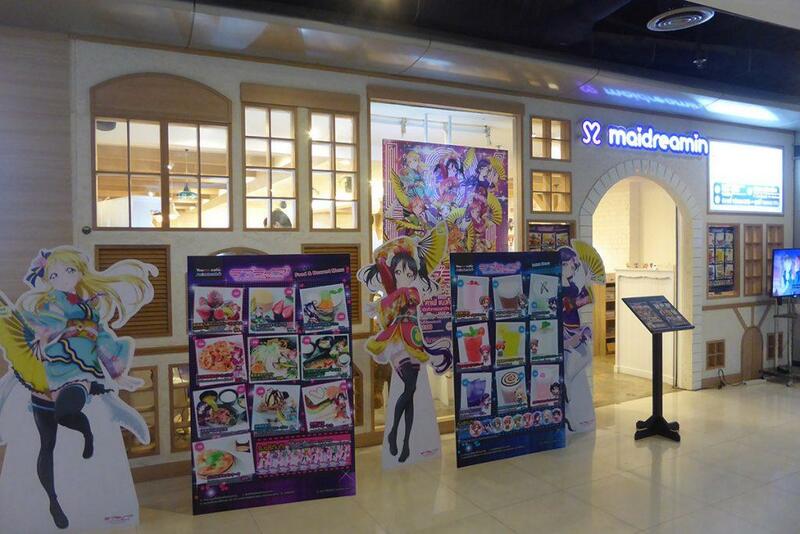 Maidreamin is a Japanese maid style cafe in MBK mall. The emphasis is on entertainment provided by cute female hostesses/waitresses dressed in maid uniforms who sing, perform dance routines and cast (lucky) spells on your food! 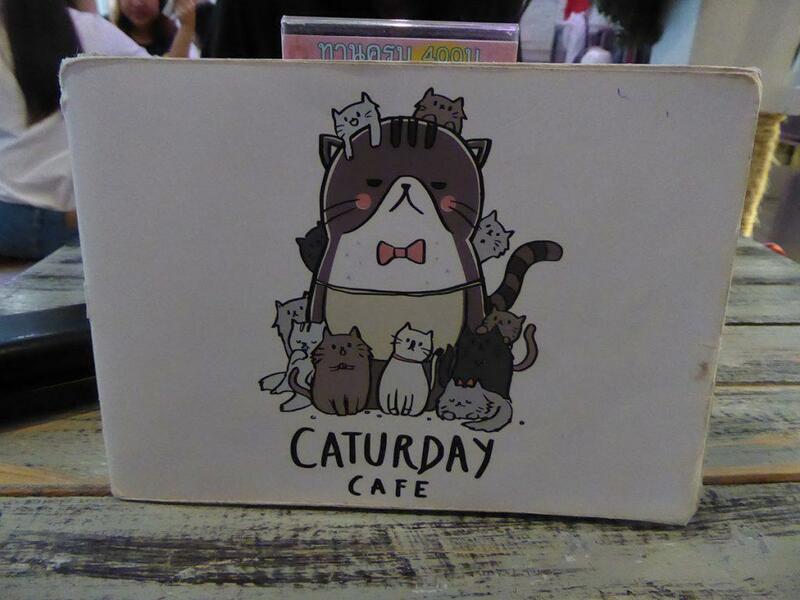 Animal cafes are popular in Bangkok, Caturday is a cat cafe full of adorable felines. 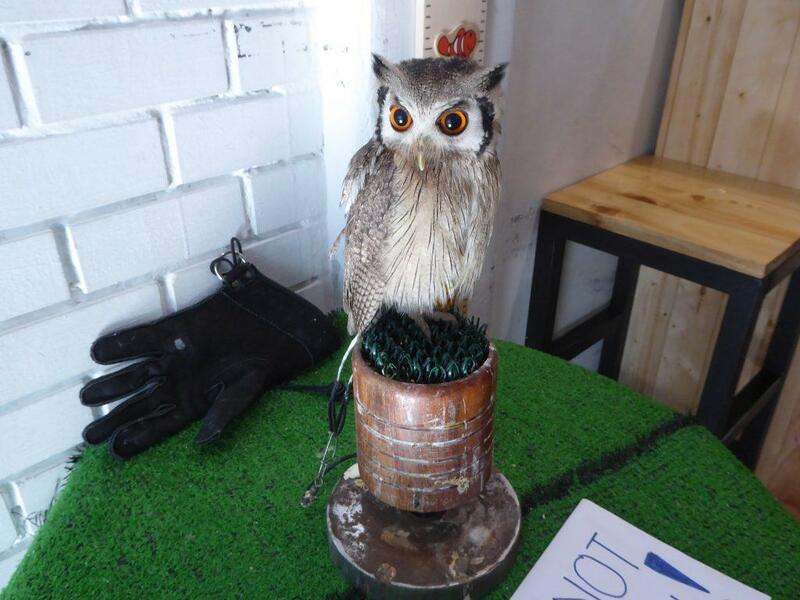 You can feed and pet them while enjoying the coffee & cake. 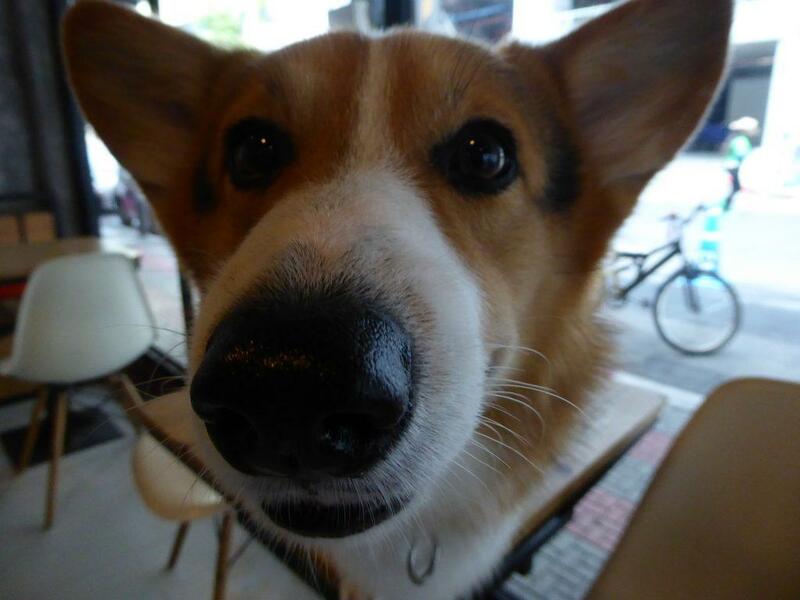 House of Paws is a dog cafe in Siam Square with ten breeds of dog from small to big. Little Zoo, also in Siam Square has a mix of animals from cats & dogs through to raccoons & meerkats. Find out more by clicking on the pictures below.